OWN WORST ENEMY DEPARTMENT. As an author with a new book I’m promoting, I must comment on an ironic fact: After months of trying to place my book with a literary agent or small publisher (all of whom ARE INUNDATED with submissions, 80% of which are vanity books) – I self-published with CreateSpace (Amazon). 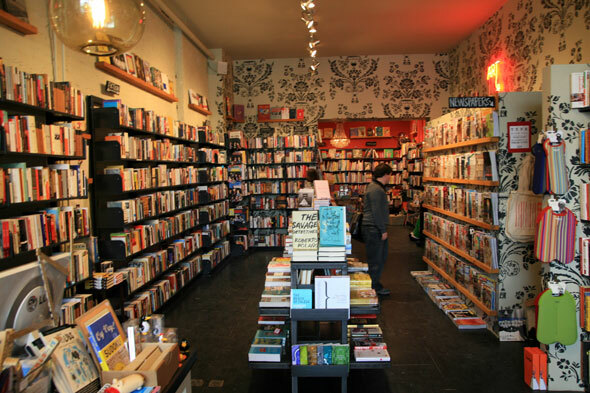 Then I tried working with Bay Area (SF) booksellers to take the (printed) book on consignment. A number of those reacted emotionally — saying “Oh, we NEVER take books produced at Amazon – they are our competitor!..” I would be MUCH happier giving my local booksellers the $5.00 per book commission instead of Amazon — but the fear-based irrationality I have experienced on the part of some indy stores has been pretty weird. And of course overall, such bookstore owners’ inadvertent message to a new author is: “You can’t get there from here.” So much for supporting local authors. Self-fulfilling fear trumps all. I wonder why you think that indie booksellers are guilty of a “fear based irrationality” in regard to Amazon. Amazon is a fierce competitor and has put hundreds of them out of business. Many indie booksellers will happily stock self-published titles by local authors, but having to source them from Amazon is just too much.